Every day we are confronted with a changing world full of people and events that can impact the way we feel and live. Some are small and relatively undisturbing while others can bring us to our knees. –There is always a solution, even if you don’t know what it is. –It’s never too late. You aren’t too anything to live our the desires of your heart. –What others call impossible is possible for anyone who believes it is. –No one is more right about what you need to be or do than the still small voice within. –The definition of success is subjective; only you can define it for you. –Failure only exists when you quit. –Don’t worry about what “they” think. They usually don’t exist. If they do exist, they won’t be who matters to you on your deathbed. 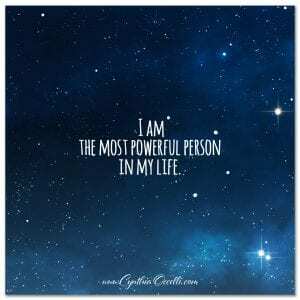 I AM the most powerful person in my life. Facing that, coming to terms with it is freeing and terrifying at the same time. However, after 50 years of living with a victim mentality, I welcome this truth and gratefully embrace it. 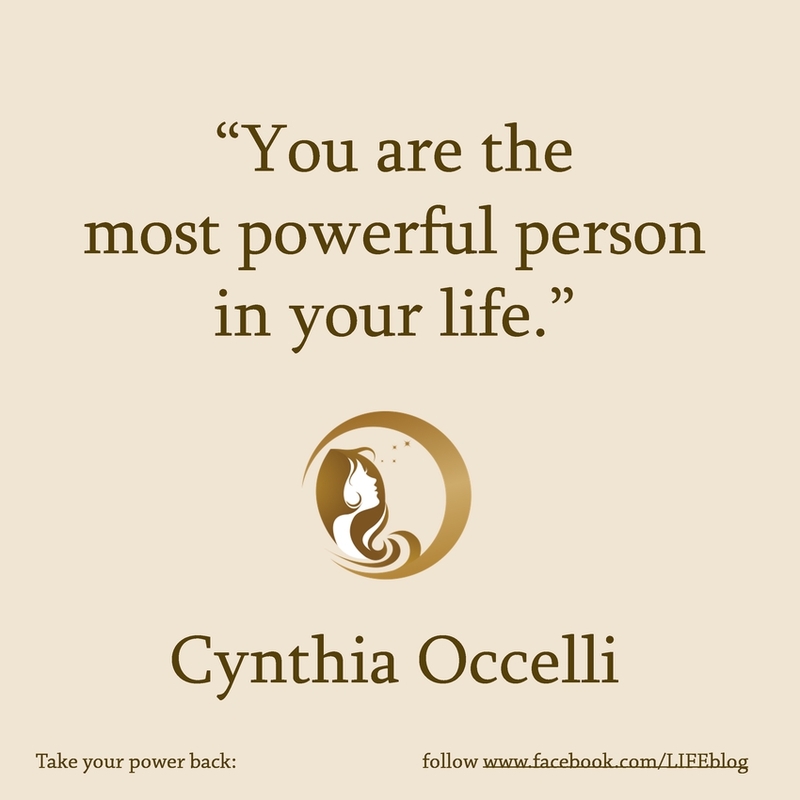 Thank you Cynthia!